Clearly it is early in the development cycle so the current version is lacking some cohesion and I was frustrated at my inability to better explain in this post: Windows 10 Redstone 5 Gets Cloud Clipboard, Dark File Explorer, and More. So I thought better to illustrate. It seems a good old-fashioned compromise for Microsoft. 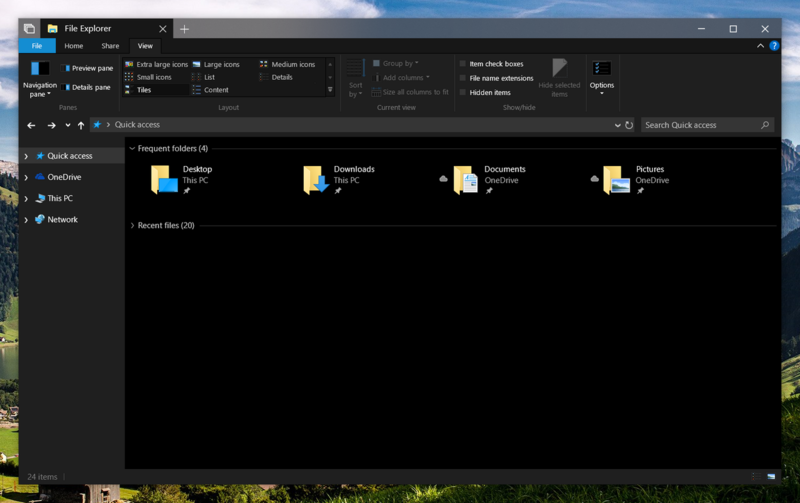 A dark theme in a future UWP version of explorer using the fluent design language would without question offer a dramatically more aesthetically pleasing and engaging user experience. As a consequence, there are diminishing returns in engineering efforts focused on adapting these older Win32 applications for the remainder of their lifetime. However it also seems unlikely they would be investing any effort at all if the UWP replacement was anywhere near imminent.